Technological advances perpetually surprise us. There is always something new, and we cannot wait to see what the next innovation brings. Embracing technology at home comes with its unique perks. Some of them include improved security, energy efficiency, and an easier life. That said, here are some technological advances that will make your home better and improve the quality of your life. Home access and security systems have come a long way in recent years. 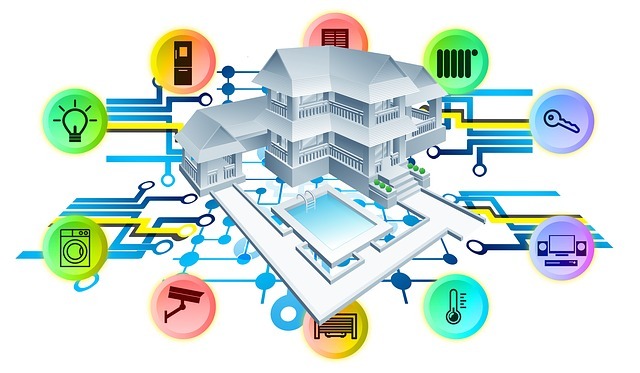 Unlike traditional security system, smart or modern security technologies offer more security, reliability, and convenience. Smart security system keeps you updated and in control of your home from anywhere. For a fact, home security systems offer the best protection, allowing you to view your home remotely and get regular updates. Lighting plays a critical role in interior design. Some areas of your home need more lighting than others. Unfortunately, we are often restricted in what we can do with home lights when they are either on, off, or whenever they are dimmed. Thanks to smart lighting systems, homeowners can now control specific bulbs around their home at their comfort. All this can be achieved by using manual methods, smartphones, tablets, or from your personal computer. Energy losses can be costly. With smart energy assistant technologies, you no longer have to wait for surprises when paying your utility bills. Smart energy meters provide real-time updates about your energy consumption. You also get to know whether an appliance has been left on or activities that took place when you are away. Moreover, this technology lets you analyze the performance of different appliances and whether or not they need servicing. If you are planning to construct a new home or renovate an existing one, it might be time to look into upgrading your appliances. Smart appliances should be top of your list of new additions. Because of advances, smart appliances quickly become a necessity for most homes. Smart appliances are bound to make your life easier, improve energy efficiency, and control of your home. Installing smart devices in your home comes with significant gains like remote access, timely alerts, along with energy and cost savings. Embracing technology at is a sure-fire way of making your home comfortable. Not just that, it is also good for your pocket. With ever-improving advances, it now easier than ever to create meaningful changes to your abode.